A hearty Scottish breakfast and off to MacDuff on the Northern Coast. 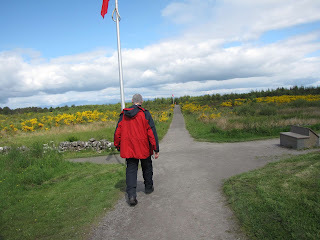 Our first stop was at the site of the Battle of Culloden. Our guide was brilliant in describing the relevance, history and geography of the Battle. 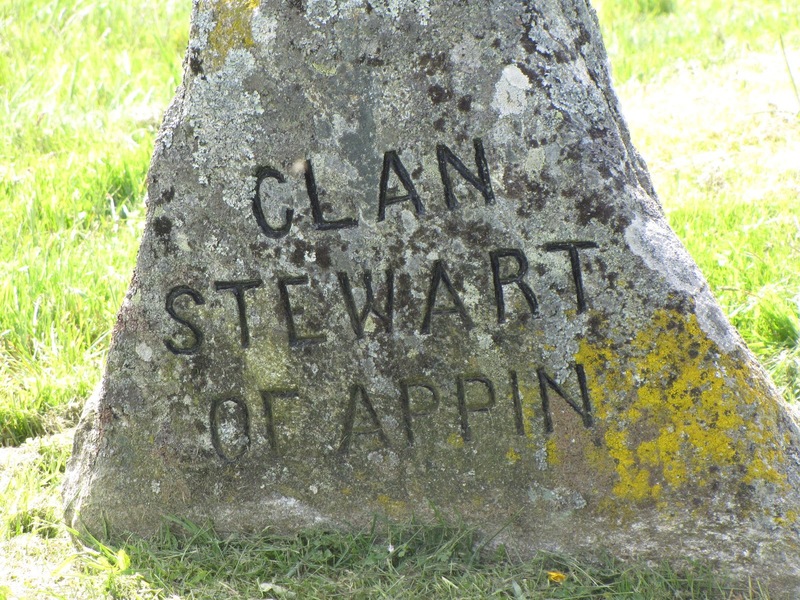 Nora's Clan Stewart was present. The Battle of Culloden was the final confrontation of the 1745 Jacobite Rising. On 16 April 1746, the Jacobite forces of Charles Edward Stuart fought loyalist troops commanded by William Augustus, Duke of Cumberland near Inverness in the Scottish Highlands. The loyalist victory at Culloden decisively halted the Jacobite intent to overthrow the House of Hanover and restore the House of Stuart to the British throne; Charles Stuart never mounted any further attempts to challenge Hanoverian power in Britain. The conflict was the last pitched battle fought on British soil. Charles Stuart's Jacobite army consisted largely of Scottish Highlanders, as well as a number of Lowland Scots and a small detachment of Englishmen from the Manchester Regiment. The Jacobites were supported and supplied by the Kingdom of France and French and Irish units loyal to France were part of the Jacobite army. The government force was mostly English, along with a significant number of Scottish Lowlanders and Highlanders, a battalion of Ulster men from Ireland, and a small number of Hessians from Germany and Austrians. 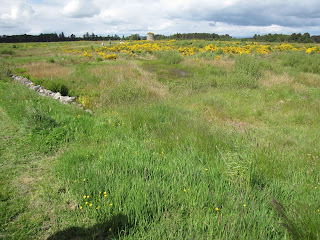 The battle on Culloden Moor was both quick and bloody, taking place within an hour. Following an unsuccessful Highland charge against the government lines, the Jacobites were routed and driven from the field. Between 1,500 and 2,000 Jacobites were killed or wounded in the brief battle, while government losses were lighter with 50 dead and 259 wounded. The aftermath of the battle and subsequent crackdown on Jacobitism was brutal, earning Cumberland the sobriquet "Butcher". Efforts were subsequently taken to further integrate the comparatively wild Highlands into the Kingdom of Great Britain; civil penalties were introduced to weaken Gaelic culture and attack the Scottish clan system. Charles Edward Stuart, known as "Bonnie Prince Charlie" or the "Young Pretender", arrived in Scotland in 1745 to foment a rebellion of Stuart sympathizers against the House of Hanover. 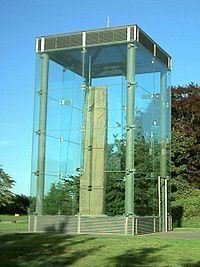 He successfully raised forces, mainly of Scottish Highland clansmen, and defeated the Hanoverian Army stationed in Scotland at the Battle of Prestonpans. The city of Edinburgh was occupied, but the castle held out and most of the Scottish population remained hostile to the rebels; others, while sympathetic, were reluctant to lend overt support to a movement whose chances were unproven. The British government recalled forces from the war with France in Flanders to deal with the rebellion. After a lengthy wait, Charles persuaded his generals that English Jacobites would stage an uprising in support of his cause. He was convinced that France would launch an invasion of England as well. His army of around 5,000 invaded England on 8 November 1745. They advanced through Carlisle and Manchester to Derby and a position where they appeared to threaten London. It is alleged that King George II made plans to decamp to Hanover, but there is no evidence for this and the king is on record as stating that he would lead the troops against the rebels himself if they approached London. The Jacobites met only token resistance. There was, however, little support from English Jacobites, and the French invasion fleet was still being assembled. The armies of General George Wade and of William Augustus, Duke of Cumberland, were approaching. In addition to the militia, London was defended by nearly 6,000 infantry, 700 horse and 33 artillery pieces and the Jacobites received (fictitious) reports of a third army closing on them. The Jacobite general, Lord George Murray, and the Council of War insisted on returning to join their growing force in Scotland. On 6 December 1745, they withdrew, with Charles Edward Stuart leaving command to Murray. On the long march back to Scotland, the Highland Army wore out its boots and demanded all the boots and shoes of the townspeople of Dumfries as well as money and hospitality. The Jacobites reached Glasgow on 25 December. There they reprovisioned, having threatened to sack the city, and were joined by a few thousand additional men. They then defeated the forces of General Henry Hawley at the Battle of Falkirk. The Duke of Cumberland arrived in Edinburgh on 30 January to take over command of the government army from General Hawley. 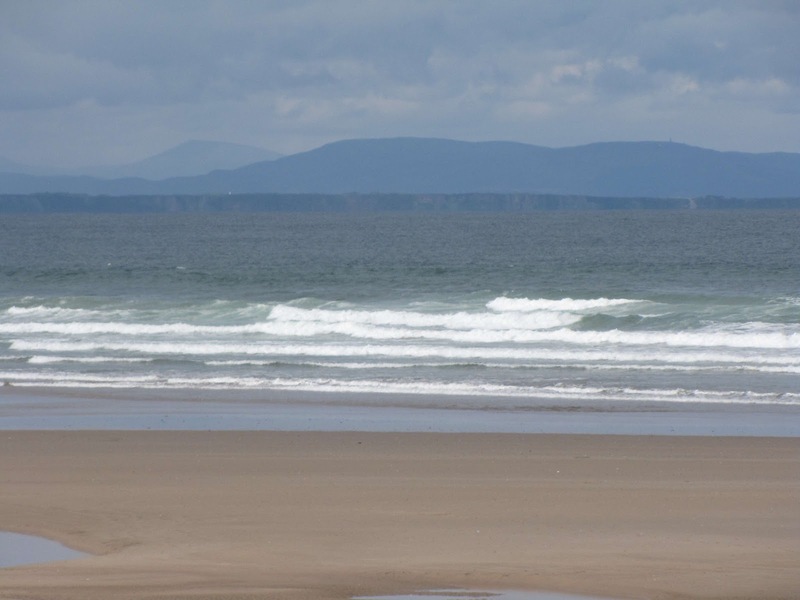 He then marched north along the coast, with the army being supplied by sea. Six weeks were spent at Aberdeen training. The King's forces continued to pressure Charles. 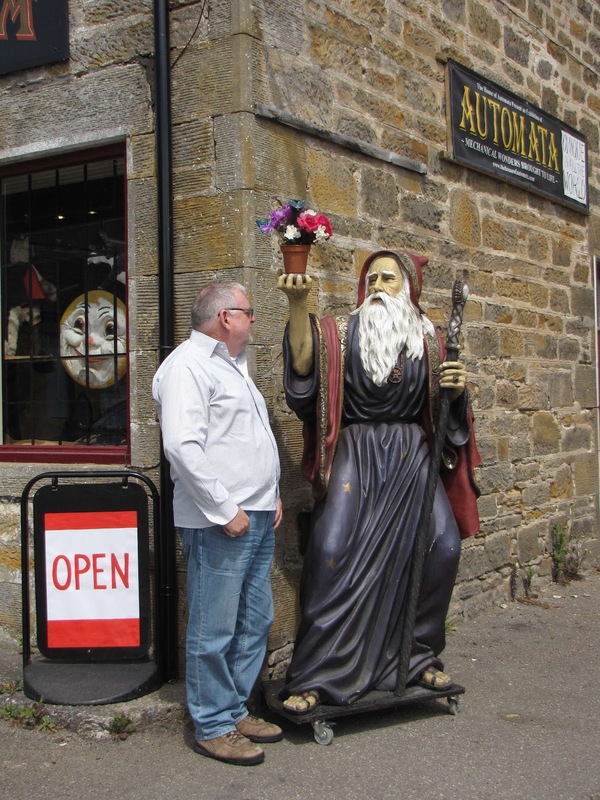 He retired north, losing men and failing to take Stirling Castle or Fort William. 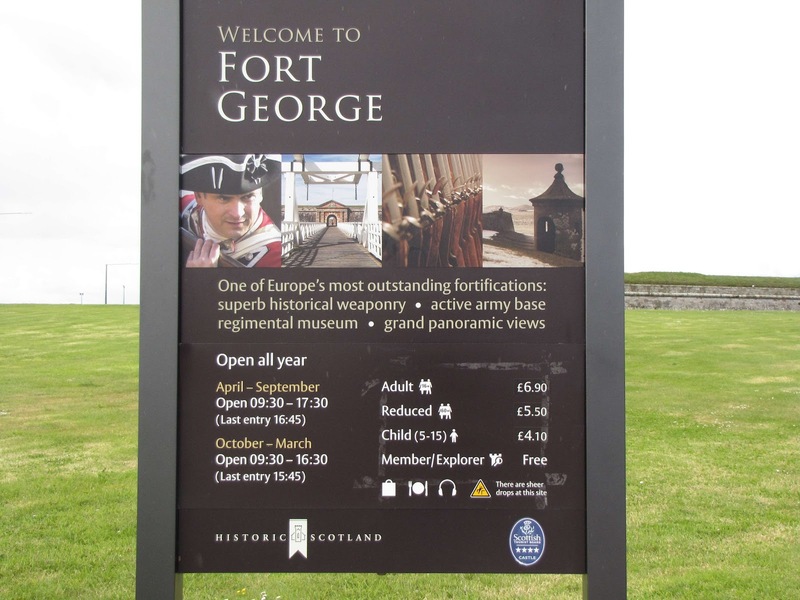 But he invested Fort Augustus and Fort George in Invernessshire in early April. Charles then took command again, and insisted on fighting a defensive action. The bulk of the Jacobite army was forced to join by their clan chiefs, landlords or feudal superiors. In consequence, it mattered little whether the average clansman believed in the Jacobite cause or not. Because of recruiting in this manner, when the campaign began to fizzle out in the lead-up to the battle, desertion was a major problem in the Highland regiments within the Jacobite army. One of the fundamental problems with the Jacobite army was the lack of trained officers. 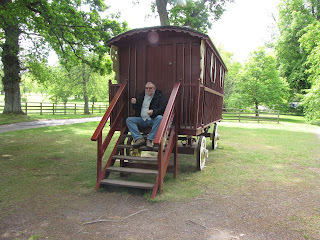 The lack of professionalism and training was readily apparent; even the colonels of the Macdonald regiments of Clanranald and Keppoch considered their men to be uncontrollable. The Government army at the Battle of Culloden was made up of infantry, cavalry, and artillery. Of the army's 16 infantry battalions present, four were Scottish units and one was Irish. The officers of the infantry were from the upper classes and aristocracy, while the rank and file was made up of poor agricultural workers. On the outbreak of the Jacobite rising, extra incentives were given to lure recruits to fill the ranks of depleted units. For instance, on 6 September 1745, every new recruit who joined the Guards before 24 September was given £6, and those who joined in the last days of the month were given £4. Regiments were named after their Colonel. In theory, an infantry regiment would comprise up to ten companies of up to 70 men. They would then be 815 strong, including officers. However, regiments were rarely anywhere near this large, and at the Battle of Culloden, the regiments were not much larger than about 400 men. The Government cavalry arrived in Scotland in January 1746. They were not combat experienced, having spent the preceding years on anti-smuggling duties. A standard cavalryman had a Land Service pistol and a carbine. However, the main weapon used by the British cavalry was a sword with a 35-inch blade. The Royal Artillery vastly out-performed their Jacobite counterparts during the Battle of Culloden. However, up until this point in the campaign, the Government artillery had performed dismally. The main weapon of the artillery was the 3-pounder. This weapon had a range of 500 yards and could fire two kinds of shot: round iron and canister. The other weapon used was the Coehorn mortar. These had a calibre of 4⅖inches. On 30 January, the Duke of Cumberland arrived in Scotland to take command of the government forces after the previous failures by Cope and Hawley. Cumberland decided to wait out the winter, and moved his troops northwards to Aberdeen. Around this time, the army was increased by 5,000 Hessian troops. The Hessian force, led by Prince Frederick of Hesse, took up position to the south to cut off any path of retreat for the Jacobites. The weather had improved to such an extent by 8 April that Cumberland again resumed the campaign. 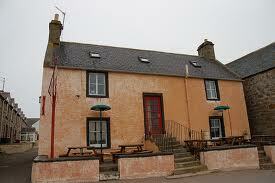 The government army reached Cullen on 11 April, where it was joined by six battalions and two cavalry regiments. Days later, the government army approached the River Spey, which was guarded by a Jacobite force of 2,000, made up of the Jacobite cavalry, the Lowland regiments and over half of the army's French regulars. The Jacobites quickly turned and fled, first towards Elgin and then to Nairn. 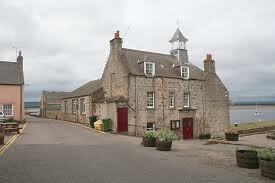 By 14 April, the Jacobites had evacuated Nairn, and Cumberland camped his army at Balblair just west of the town. The Jacobite forces of about 5,400 left their base at Inverness, leaving most of their supplies, and assembled 5 miles to the east near Drummossie, around 12 miles before Nairn. Charles Edward Stuart had decided to personally command his forces and took the advice of his adjutant general, Secretary O’Sullivan, who chose to stage a defensive action at Drummossie Moor, a stretch of open moorland enclosed between the walled Culloden enclosures to the North and the walls of Culloden Park to the South. Lord George Murray "did not like the ground" and with other senior officers pointed out the unsuitability of the rough moorland terrain which was highly advantageous to the Duke with the marshy and uneven ground making the famed Highland charge somewhat more difficult while remaining open to Cumberland’s powerful artillery. They had argued for a guerrilla campaign, but Charles Edward Stuart refused to change his mind. On 15 April, the government army celebrated Cumberland's twenty-fifth birthday by issuing two gallons of brandy to each regiment. At Murray's suggestion, the Jacobites tried that evening to repeat the success of Prestonpans by carrying out a night attack on the government encampment. 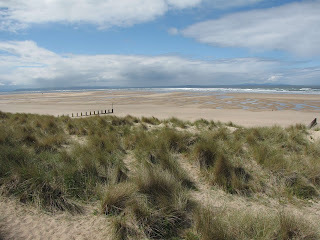 Murray proposed that they set off at dusk and march to Nairn. The Jacobite force however started out well after dark at about 20:00. Murray led the force cross country with the intention of avoiding government outposts. This however led to very slow going in the dark. Murray's one time aide-de-camp, James Chevalier de Johnstone later wrote, "This march across country in a dark night which did not allow us to follow any track, and accompanied with confusion and disorder". 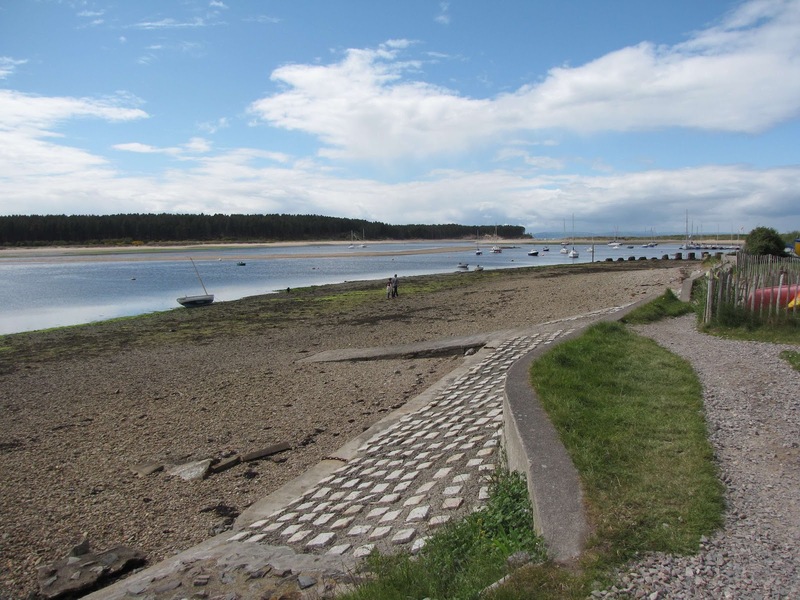 By the time the leading troop had reached Culraick, still 2 miles from where Murray's wing was to cross the River Nairn and encircle the town, there was only one hour left before dawn. After a heated council with other officers, Murray concluded that there was not enough time to mount a surprise attack and that the offensive should be aborted. Sullivan went to inform Charles Edward Stuart of the change of plan, but missed the prince in the dark. Meanwhile, instead of retracing his path back, Murray led his men left, down the Inverness road. In the darkness, while Murray led one-third of the Jacobite forces back to camp, the other two-thirds continued towards their original objective, unaware of the change in plan. One account of that night even records that Perth and Drummond made contact with government troops before realizing the rest of the Jacobite force had turned home. Not long after the exhausted Jacobite forces had made it back to Culloden, reports came of the advancing government troops. 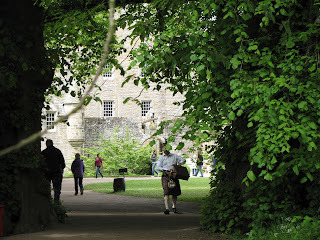 By then, many Jacobite soldiers had dispersed in search of food, while others were asleep in ditches and outbuildings. However military historian Jeremy Black has contended that even though the Jacobite force had become disordered and lost the element of surprise the night attack retained a worthwhile prospect of success if it had been pressed on with. Black maintains the assault was abandoned while still practicable and if the Jacobites had advanced the conditions would have made British morale vulnerable and disrupted their fire discipline. 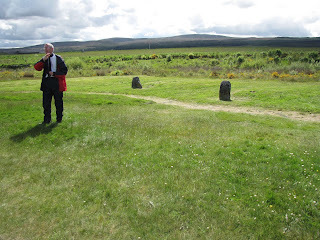 Early on a rainy 16 April, the well rested Government army struck camp and at about 5am and set off towards the moorland around Culloden and Drummossie. Jacobite pickets first sighted the Government advance guard at about 8am, when the advancing army came within 4 miles of Drummossie. Cumberland's informers alerted him that the Jacobite army was forming up about 1 mile from Culloden House—upon Culloden Moor. At about 11am the two armies were within sight of one another with about 2 miles of open moorland between them. As the Government forces steadily advanced across the moor, the driving rain and sleet blew from the north-east into the faces of the exhausted Jacobite army. 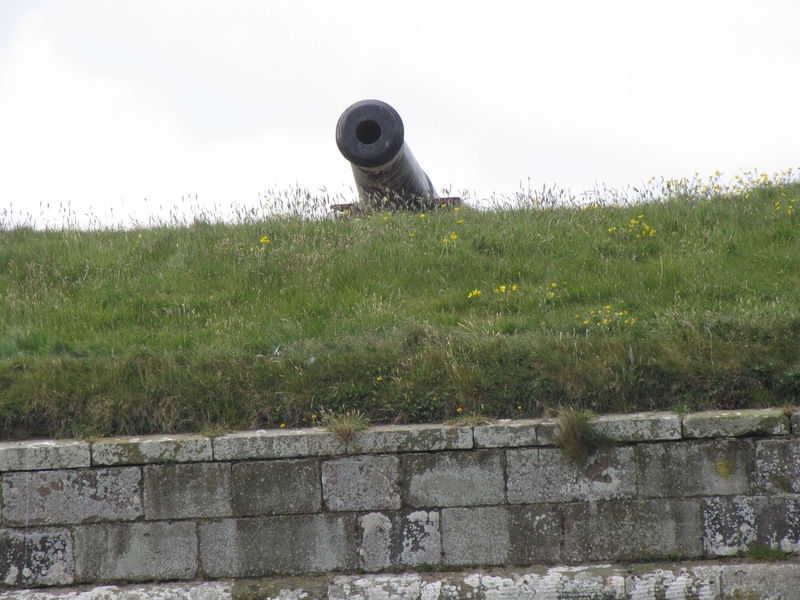 Cumberland's superior artillery battered the Jacobite lines, while Charles, moved for safety out of sight of his own forces, waited for the Government forces to move. Inexplicably, he left his forces arrayed under Government fire for over half an hour. Although the marshy terrain minimized casualties, the morale of the Jacobites began to suffer. Several clan leaders, angry at the lack of action, pressured Charles to issue the order to charge. The Clan was first away, but an area of boggy ground in front of them forced them to veer right so that they obstructed the following regiments and the attack was pushed towards the wall. The Highlanders advanced on the left flank of the Government troops, but were subjected to volleys of musket fire and the artillery which had switched from round shot to grape shot. Despite this, many Jacobites reached the Government lines, and for the first time a battle was decided by a direct clash between charging highlanders and formed redcoats equipped with muskets and socket bayonets. The brunt of the Jacobite impact was taken by only two Government regiments—Barrell's 4th Foot and Dejean's 37th Foot. In a matter of minutes Barrell's regiment lost 17 and suffered 108 wounded, out of a total of 373 officers and men. Dejean's lost 14 and had 68 wounded, with this unit's left wing taking a disproportionately higher number of casualties. Barrell's regiment was smashed apart, temporarily losing its colours. Dejean's was pushed aside, and Sgt. Bristoe's gun detachment, which was placed between the two regiments was easily overrun. Major-General Huske, who was in command of the Government second line, quickly organised the counter attack. Huske's counter formed a five battalion strong horseshoe-shaped formation which trapped the Jacobite right wing on three sides. Located on the Jacobite extreme left wing were the Macdonald regiments. Popular legend has it that these regiments refused to charge when ordered to do so, due to the perceived insult of being placed on the left wing. Even so, due to the skewing of the Jacobite front lines, the left wing had a further 200 metres of much boggier ground to cover than the right. When the Macdonalds charged, their progress was much slower than that of the rest of the Jacobite forces. Standing on the right of these regiments were the much smaller units of Chisholms and the combined unit of Macleans and Maclachlans. 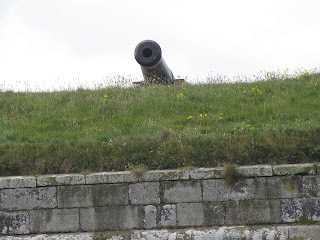 Every officer in the Chisholm unit was killed or wounded and Col. Lachlan MaclachlanL, who led the combined unit of MacLeans and MacLachlans, was gruesomely killed by a cannon shot. As the Macdonalds suffered casualties they began to give way. Immediately Cumberland then pressed the advantage, ordering two troops of Cobham's 10th Dragoons to ride them down. The boggy ground however impeded the cavalry and they turned to engage the Irish Picquets whom Sullivan had brought up in an attempt to stabilize the deteriorating Jacobite left flank. With the collapse of the left wing, Murray brought up the Royal Écossois and Kilmarnock's Foot guards who were still at this time unengaged. However, by the time they had been brought into position, the Jacobite army was in rout. The Royal Écossois exchanged musket fire with Campbell's 21st and commenced an orderly retreat, moving along the Culwhiniac enclosure in order to shield themselves from artillery fire. Immediately the half battalion of Highland militia commanded by Captain Colin Campbell of Ballimore which had stood inside the enclosure ambushed the Royal Écossois. Hawley had previously left this Highland unit behind the enclosure, with orders to avoid contact with the Jacobites, to limit any chance of a friendly fire incident. In the encounter Campbell of Ballimore was killed along with five of his men. The result was that the Royal Écossois and Kilmarnock's Foot guards were forced out into the open moor and were rushed at by three squadrons of Kerr's 11th Dragoons. The fleeing Jacobites must have put up a fight for Kerr's 11th recorded at least 16 horses killed during the entirety of the battle. The Royal Écossois appear to have retired from the field in two wings. One part of the regiment surrendered upon the field after suffering 50 killed or wounded, but their colours were not taken and a large number retired from the field with the Lowland regiments. This stand by the Royal Écossois may have given Charles Edward Stuart the time to make his escape. At the time when the Macdonald regiments were crumbling and fleeing the field, Stuart seems to have been rallying Perth's and Glenbuchat's regiments when Sullivan rode up to Captain Shea who commanded Stuart's bodyguard: "Yu see all is going to pot. Yu can be of no great succor, so before a general deroute wch will soon be, Sieze upon the Prince & take him off...". Shea then led Stuart from the field along with Perth's and Glenbuchat's regiments. From this point on the fleeing Jacobite forces were split into two groups: the Lowland regiments retired in order southwards, making their way to Ruthven Barracks; the Highland regiments however were cut off by the Government cavalry, and forced to retreat down the road to Inverness. The result was that they were a perfect target for the Government dragoons. Bland led the charge against the fleeing Highlanders, giving "Quarter to None but about Fifty French Officers and Soldiers He picked up in his Pursuit". The total of Jacobite casualties during the battle has been estimated at about 1,500 – 2,000 killed or wounded. Cumberland's official list of prisoners taken includes 154 Jacobites and 222 "French" prisoners (men from the 'foreign units' in the French service). Added to the official list of those apprehended were 172 of the Earl of Cromartie's men, captured after a brief engagement the day before near Littleferry. In striking contrast to the Jacobite losses, the Government forces suffered 50 dead and 259 wounded, although a high proportion of those recorded as wounded are likely to have died of their wounds. For example, only 29 out of 104 wounded from Barrell's 4th Foot survived to claim pensions. All six of the artillerymen recorded as wounded died. The only Government casualty of high rank was Lord Robert Kerr, the son of William Kerr, 3rd Marquess of Lothian. As the first of the fleeing Highlanders approached Inverness they were met with a battalion of Frasers led by the Master of Lovat. Tradition states that the Master of Lovat immediately about-turned his men and marched down the road back towards Inverness, with pipes playing and colours flying. 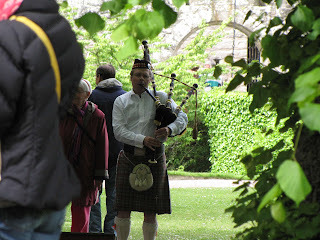 There are however varying traditions as to what happened at the bridge which spans the River Ness. One tradition is that the Master of Lovat intended to hold the bridge until he was persuaded against it. Another is that the bridge was seized by a party of Argyll Militia who were involved in a skirmish when blocking the crossing of retreating Jacobites. While it is almost certain there was a skirmish upon the bridge, it has been proposed that the Master of Lovat shrewdly switched sides and turned upon the fleeing Jacobites. Such an act would explain his remarkable rise in fortune in the years that followed. 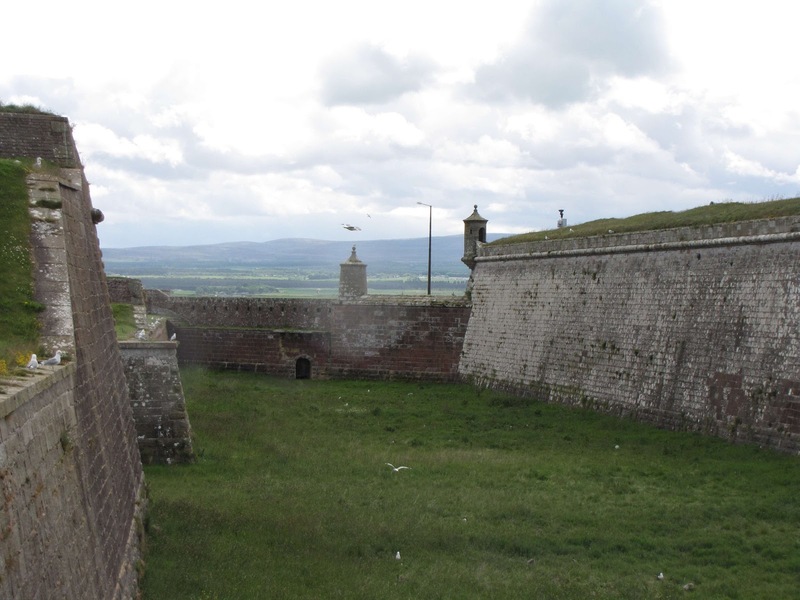 Following the battle the Lowland units headed south, towards Corrybrough and made their way to Ruthven Barracks. The Highland units headed north, towards Inverness and on through to Fort Augustus. There they were joined by Barisdale's Macdonalds and a small battalion of MacGregors. The roughly 1,500 men that assembled at Ruthven Barracks received orders from Charles Edward Stuart to the effect that all was lost and to "shift for himself as best he could". Similar orders must have been received by the Highland units at Fort Augustus. By 18 April the Jacobite army was disbanded. Officers and men of the units in the French service made for Inverness, where they surrendered as prisoners of war on 19 April. The rest of the army broke up, with men heading for home or attempting to escape abroad. Some ranking Jacobites made their way to Loch nan Uamh, where Charles Edward Stuart had first landed at the outset of the campaign in 1745. Here on 30 April they were met by the two French frigates—the Mars and Bellone. Two days later the French warships were spotted and attacked by the smaller Royal Navy sloops, the Greyhound, Baltimore, and Terror. The result was the last real battle in the campaign. 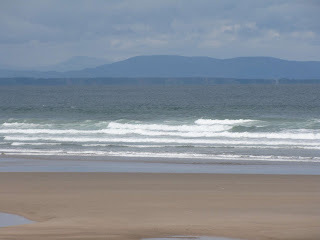 During the six hours in which the ferocious sea-battle raged the Jacobites recovered cargo on the beach which had been landed by the French ships. In all £35,000 of gold was recovered along with supplies. Invigorated by the vast amounts of loot and visible proof that the French had not deserted them some of the Highland chiefs decided to prolong the campaign. 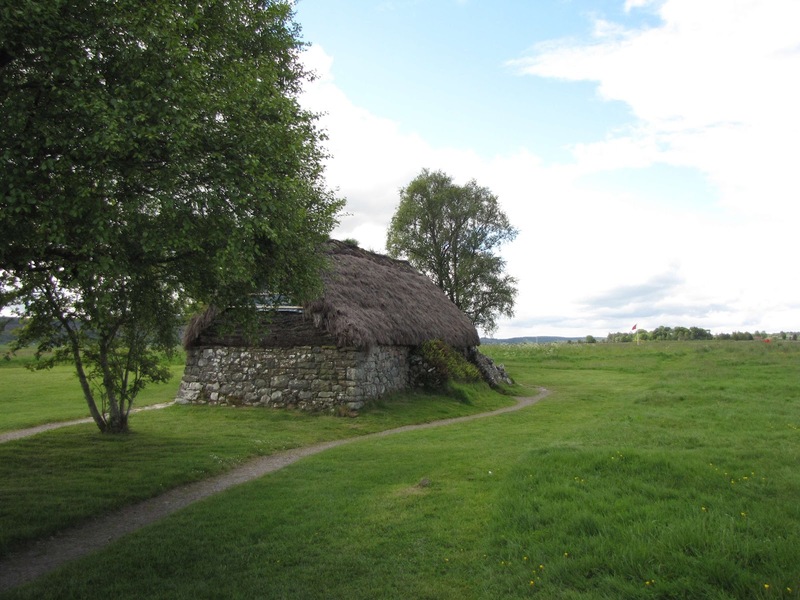 On 8 May, nearby at Murlaggan, Lochiel, Lochgarry, Clanranald and Barisdale all agreed to rendezvous at Invermallie on 18 May. The plan was that there they would be joined by what remained of Keppoch's men and Cluny Macpherson's regiment (which did not take part in the battle at Culloden). However things did not go as planned. After about a month of relative inactivity, Cumberland moved his regulars into the Highlands. On 17 May three battalions of regulars and eight Highland companies reoccupied Fort Augustus. The same day the Macphersons surrendered. On the day of the planned rendezvous, Clanranald never appeared and Lochgarry and Barisdale only showed up with about 300 combined (most of who immediately dispersed in search of food). Lochiel, who commanded possibly the strongest Jacobite unit at Culloden, was only able to muster about 300. The following morning Lochiel was alerted that a body of Highlanders was approaching. Assuming they were Barisdale's Macdonalds, Locheil waited until they were identified as Loudoun's by the "red crosses in their bonnets". Locheil's men dispersed without fighting however the damage was done and Cumberland had an excuse to venture deep into the Scottish Highlands. The following week the Government launched punitive expeditions into the Highlands which continued on throughout the summer. Following his flight from the battle, Charles Edward Stuart made his way towards the Hebrides with some supporters. 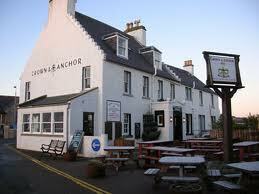 By 20 April Stuart reached Arisaig on the west coast of Scotland. 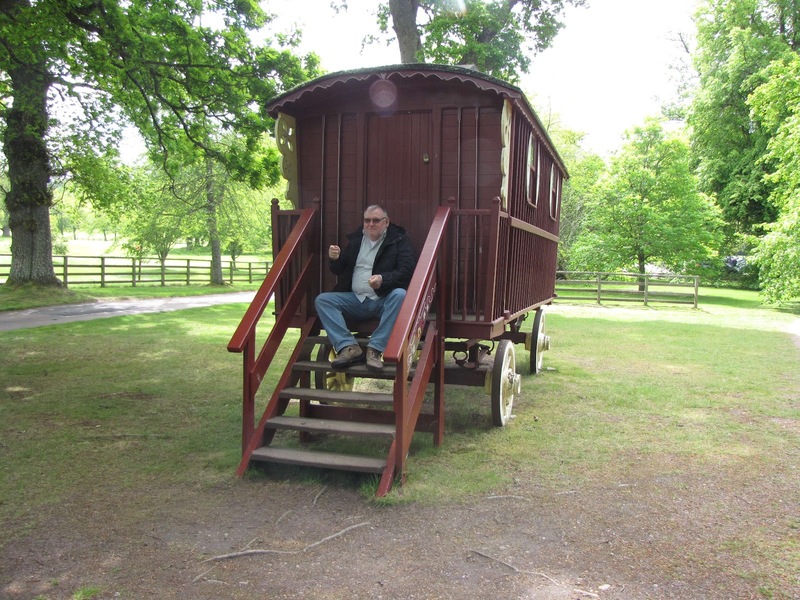 After spending a few days with his close associates, Stuart left most of them in a small boat and made way to the island of Benbecula in the Outer Hebrides. From there he travelled to Scalpay, between the islands Harris and Lewis, and from there made his way to Stornoway. For five months Stuart crisscrossed across the Hebrides, constantly pursued by Government supporters and under threat from local lairds, who were tempted to betray him for the £30,000 upon his head. During this time he met Flora Macdonald, who famously aided him in a near escape to Skye. 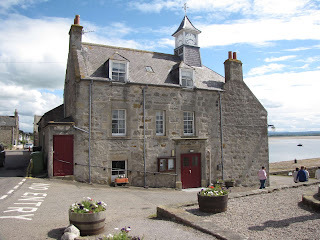 Finally on 19 September Stuart reached Borrodale on Loch nan Uamh in Arisaig where his party boarded two small French ships which ferried them to France. He never returned to Scotland. The morning following the Battle of Culloden, Cumberland issued a written order reminding his men that "the public orders of the rebels yesterday were to give us no quarter". Cumberland alluded to the belief that such orders had been found upon the bodies of fallen Jacobites. In the days and weeks that followed, versions of the alleged orders were published in the Newcastle Journal and the Gentleman's Journal. Today only one copy of the alleged order to "give no quarter" exists. It is however considered to be nothing but a poor attempt of forgery, for it is neither written nor signed by Murray, and it appears on the bottom half of a copy of a declaration published in 1745. In any event, Cumberland's order was not carried out for two days, after which contemporary accounts report then that for the next two days the moor was searched and all those wounded were put to death. One officer who refused to accept the order to kill the wounded was Thomas Wolfe, later the leader of the British forces on the Plains of Abraham. In the aftermath of the battle, Government troops felt justified in giving no quarter to the wounded lying upon the moor. The Jacobites' aborted night attack in the early hours of 16 April would no doubt have been as merciless. Jacobite officers ordered their men to use only swords, dirks and bayonets, to overturn tents locate "a swelling or bulge in the fallen tent, there to strike and push vigorously". In total, over 20,000 head of livestock, sheep, and goats were driven off and sold at Fort Augustus, where the soldiers split the profits. 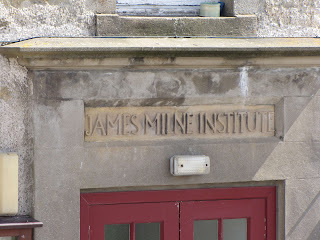 While in Inverness, Cumberland emptied the gaols that were full of people imprisoned by Jacobite supporters, replacing them with Jacobites themselves. Prisoners were taken south to England to stand trial for high treason. Many were held on hulks on the Thames or in Tilbury Fort, and executions took place in Carlisle, York and Kennington Common. The common Jacobite supporters fared better than the ranking individuals. In total, 120 common men were executed, one third of them being deserters from the British Army. The common prisoners drew lots amongst themselves and only one of out of twenty actually came to trial. Although most those who did stand trial were sentenced to death, almost all of these had their sentences commuted to transportation to the British colonies for life. In all, 936 men were thus transported, and 222 more were banished. 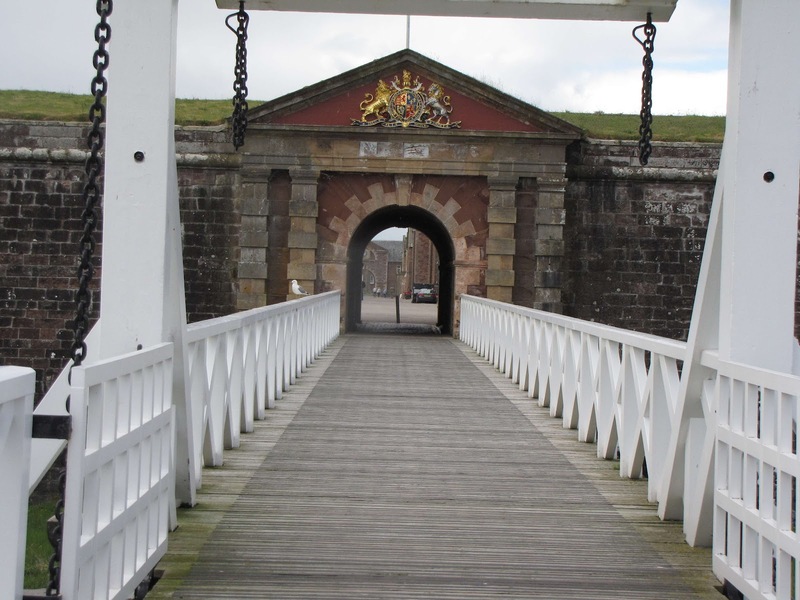 Even so, 905 prisoners were actually released under the Act of Indemnity which was passed in June 1747. Another 382 obtained their freedom by being exchanged for prisoners of war who were held by France. Of the total 3,471 prisoners recorded nothing is known of the fate of 648. The high ranking "rebel lords" were executed on Tower Hill in London. Following up on the military success won by their forces, the British Government enacted laws to incorporate Scotland — specifically the Scottish Highlands — within the rest of Britain. Members of the Episcopalian clergy were required to gives oaths of allegiance to the reigning Hanoverian dynasty. The Abolition of Heritable Jurisdictions Act of 1747 ended the hereditary right of landowners to govern justice upon their estates through barony courts. Previous to this act, feudal lords (which included clan chiefs) had considerable judicial and military power over their followers—such as the oft quoted power of "pit and gallows". Lords who were loyal to the Government were greatly compensated for the loss of these traditional powers, for example the Duke of Argyll was given £21,000. The estates of those lords and clan chiefs who had supported the Jacobite rebellion were stripped from them and then sold with the profits used to further trade and agriculture in Scotland. The forfeited estates were managed by factors. Anti-clothing measures were taking against the highland dress by an Act of Parliament in 1746. The result was that the wearing of tartan was banned from everyone in Scotland except as a uniform for officers and soldiers in the British Army and later landed men and their sons. Leaving Culloden, we ask directions of the village wizard and are lead to Cawdor Castle of Shakespeare fame in the tragedy Macbeth. Shakespeare's play Macbeth took liberties with the story of the historic Scottish King Macbeth, who ruled Scotland after his forces killed King Duncan of Scotland in battle (not assassination, as in the play). The play, first written in 1606, drew from somewhat fanciful tales of King Macbeth written by the monk Andrew of Wyntoun (in Fife) in his Cronykil (completed in 1406). Among the elements Shakespeare took from the monk's stories was the idea of the three prophesying weird sisters. In the play, Shakespeare has the three sisters foretell that Macbeth, then Thane of Glamis, would become Thane of Cawdor and King thereafter. 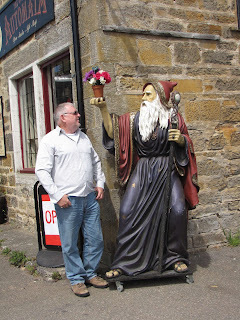 Duncan, indeed, almost immediately thereafter makes Macbeth Thane of Cawdor. Believing it necessary to accomplish the remainder of the prophecy, Macbeth and his Lady murder Duncan in his sleep, an act that leads to Macbeth's ultimate downfall. In the play, the murder of Duncan takes place in Macbeth's castle in Inverness, not Castle Cawdor (hardly surprising, as Macbeth had only just been granted the title Thane of Cawdor and thus would not yet have made any castle in Cawdor his home). 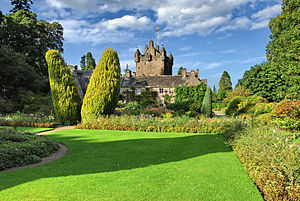 Although the name Cawdor will forever connect this classic work of literature to Cawdor Castle, the castle did not exist during the lifetimes of Macbeth or Duncan, and the events of the play are almost wholly fictitious. The castle's guidebook quotes the 5th Earl Cawdor (the 23rd Thane) as saying, presumably with some irony, "I wish the Bard had never written his damned play!" 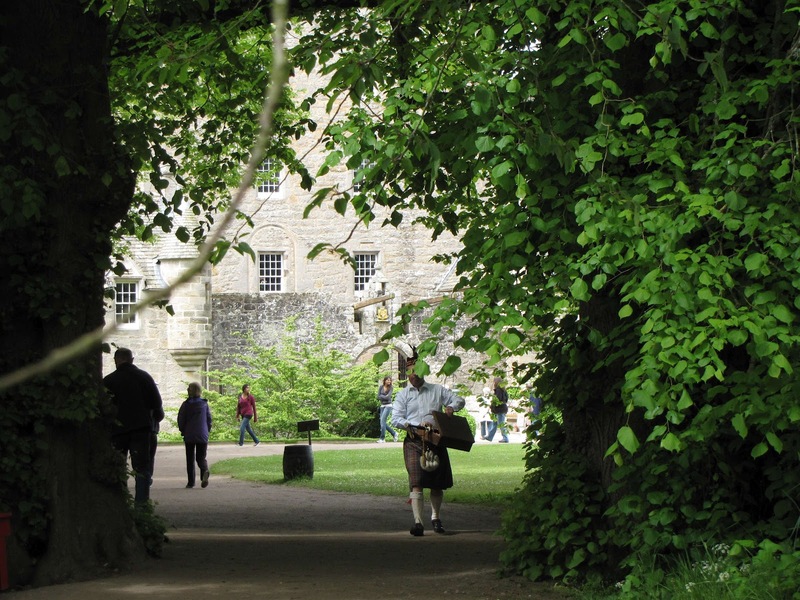 Cawdor Castle is a tower house set amid gardens in the parish of Cawdor, approximately 10 miles east of Inverness and 5 miles southwest of Nairn. It belonged to the Clan Calder. 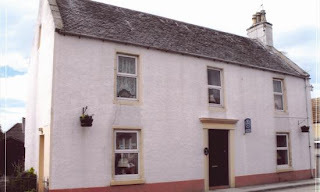 It still serves as home to the Dowager Countess Cawdor, stepmother of Colin Robert Vaughan Campbell, 7th (and present) Earl Cawdor and 25th Thane of Cawdor. 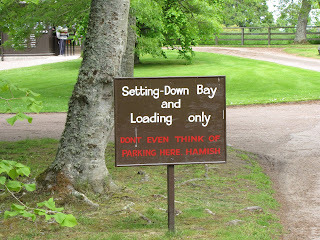 And find out where Hamish is not allowed to park. 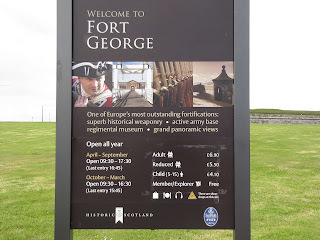 From Cawdor it’s off to Fort George. 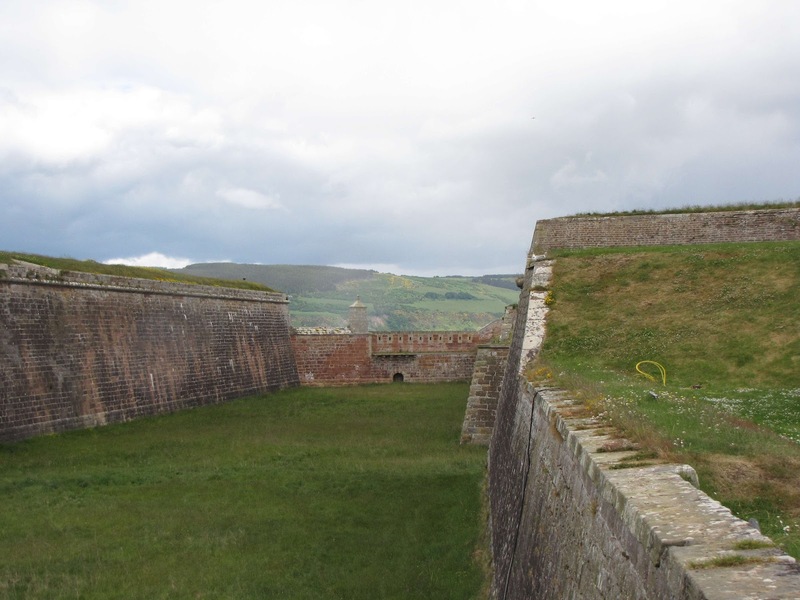 Fort George is a large 18th century fortress near Ardersier, to the northeast ofInverness. It was built to pacify the Scottish Highlands in the aftermath of the Jacobite rising of 1745, replacing an earlier Fort George built with the same aim after the 1715 Jacobite rising. The fortress has never been attacked and has remained in continuous use as a garrison. 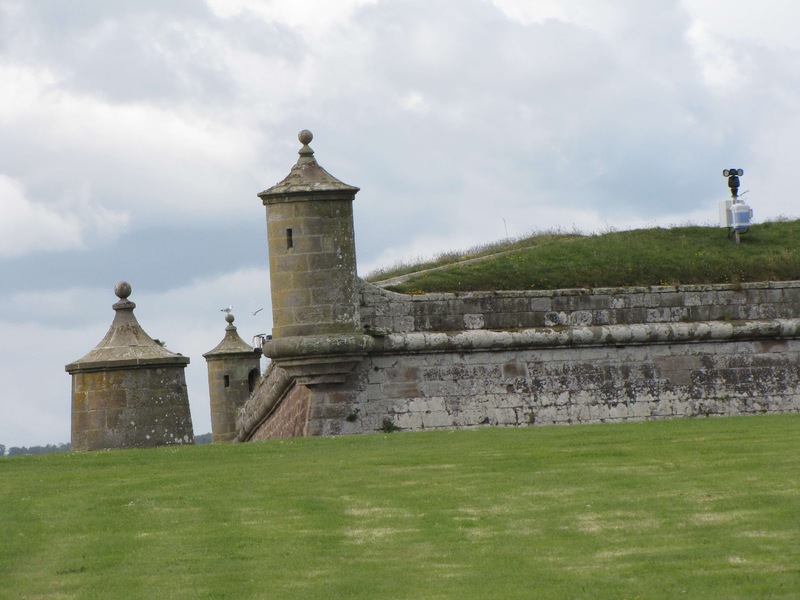 The fortification is based on a Star design, it remains virtually unaltered and nowadays is open to visitors while still serving as army barracks. Originally the depot of the Seaforth Highlanders and later the Queen's Own Highlanders (Seaforth and Camerons), it was more recently home to the Royal Irish Regiment, and as of 2007, the new garrison of the Black Watch, 3rd Battalion, Royal Regiment of Scotland. 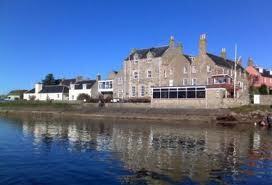 We depart for Nairn and Forres, traditionally believed to have been the home of both Duncan and Macbeth. The real-world location of Brodie, located between Forres and Nairn, is thought to be the meeting place of Macbeth and the witches, commonly known as Macbeth's Hillock. It is near Forres on the heath where the three witches meet Macbeth. Brodie Castle was built in 1567 by Clan Brodie but destroyed by fire in 1645 by Lewis Gordon of Clan Gordon, the 3rd Marquess of Huntly. It was greatly expanded in 1824 by the architect William Burn who turned it into a large mansion house in the Scots Baronial style. 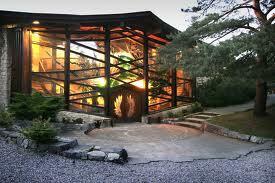 The Brodie family called the castle home until the late 20th century. 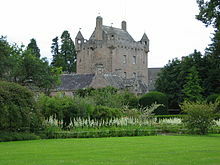 It's widely accepted that the Brodies have been associated with the land the castle is built on since around 1160, when it is believed that King Malcom IV gave the land to the family. 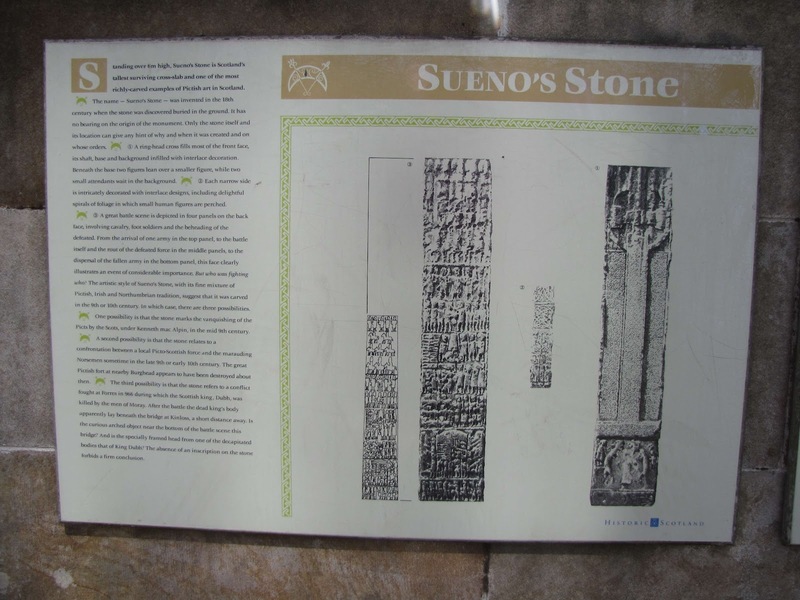 In Forres we happen upon Sueno’s Stone. Sueno's Stone stands over 6.5 metres high and is a Picto-Scottish Class III standing stone. 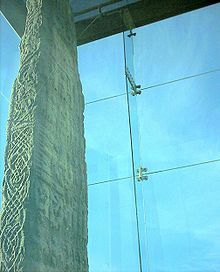 It is the largest surviving Pictish stone of its type in Scotland. Lady Ann Campbell, the Countess of Moray, is noted in the early 1700's as carrying out maintenance on the stone in an attempt to stabilise it. 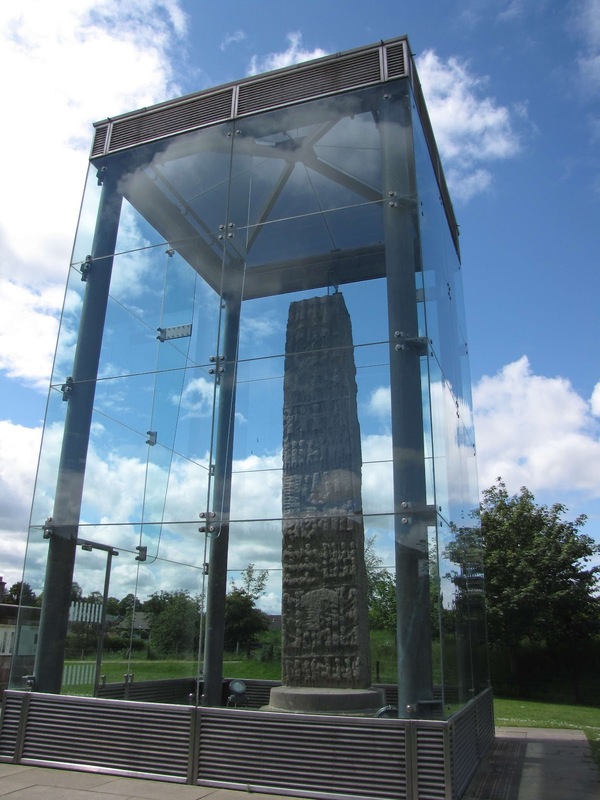 This was achieved by constructing stepped plinths around the base and these are what can be seen today. 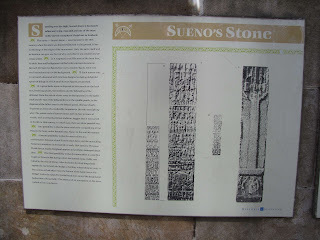 Archaeological excavations carried out in 1990 and 1991 suggest that it may originally have been one of two monumental stones. 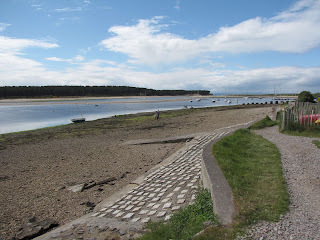 Enough of the sites, we are hungry as horses and seek nourishment at the Crown and Anchor in Findhorn. The Crown and Anchor Inn, dating from 1739, is the oldest surviving structure in the village. 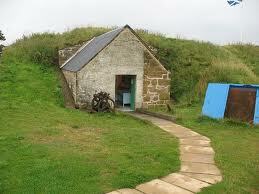 and the ice house Heritage Centre. and the night at Monica And Martin's Bed And Breakfast.